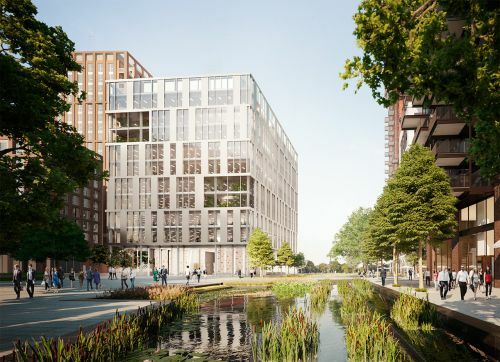 One of London’s prime new investment sites, the flagship office building at Embassy Gardens in Nine Elms neighbouring the new US Embassy and the ‘tech clustering’ at Apple’s new London campus at Battersea Power Station has gone on sale. 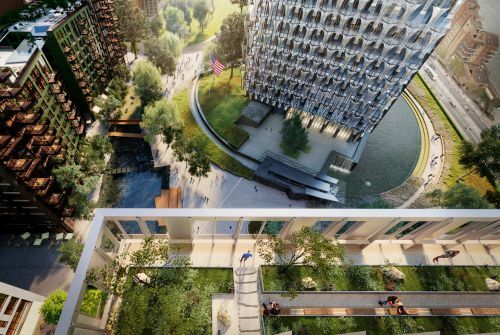 Over 80% of One Embassy Gardens, built to top design specifications by Ballymore Group, has already been pre-let to leading publishers Penguin Random House and DK Publishing. 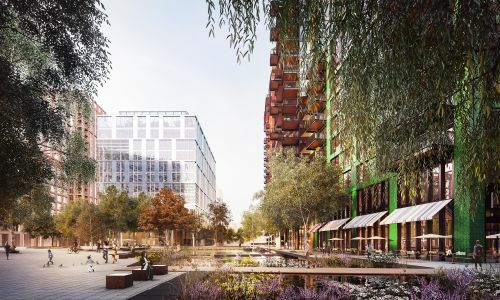 “Nine Elms is one of the most significant regeneration projects in Europe, and Embassy Gardens sits at the heart of it,” said the Group’s managing director John Mulryan. “Fundamental to this mixed-use development was the inclusion of a landmark commercial building that was designed to the highest quality and design standards. It is a testament to Embassy Gardens as a new place and the quality of design for One Embassy Gardens that we have attracted two of the UK’s leading publishing houses.” One Embassy Gardens is being sold by JLL and Savills. Simon Beckett, Director, Head of West End Capital Markets, JLL said: “Nine Elms is a dynamic market with significant continued growth anticipated from the newly planned Linear Park waterfront environment, the state-of-the-art New Covent Garden Market which is currently under development and over £1 billion being invested into new infrastructure – including a Nine Elms underground station connecting the area to the West End. The 156,000 sq. ft. office building is next to the River Thames in central London, offering exceptional commercial space over ground and ten upper floors with a stunning west-facing terrace on the 10th floor. 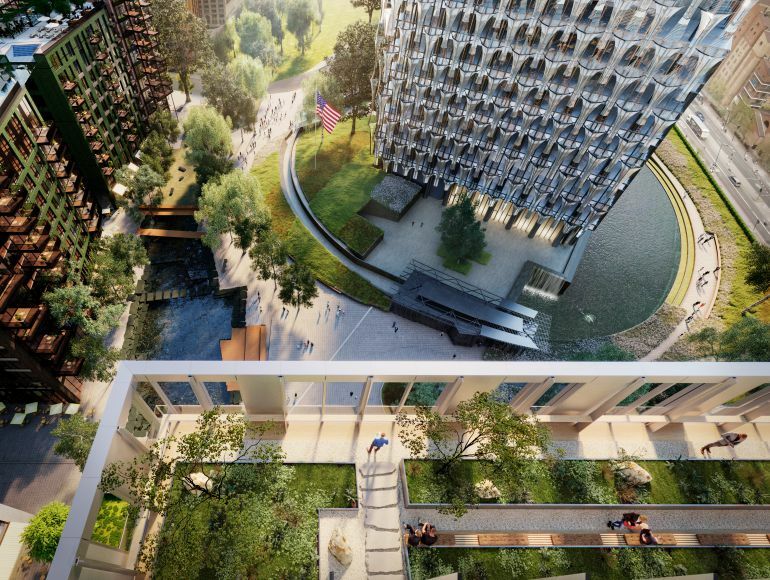 The landmark building, designed by Lee Polisano of PLP Architects, boasts spectacular views of the U.S. Embassy, the river, central London, the Linear Park that runs through Nine Elms from Vauxhall to Battersea Power Station, and the 1,750 new homes at Embassy Gardens. The building is designed to a target BREEAM rating of Excellent. In a move bolstering Nine Elms as a new media hub south of the Thames, DK, the world leading illustrated reference publisher is to follow sister company Penguin Random House UK by relocating to One Embassy Gardens.